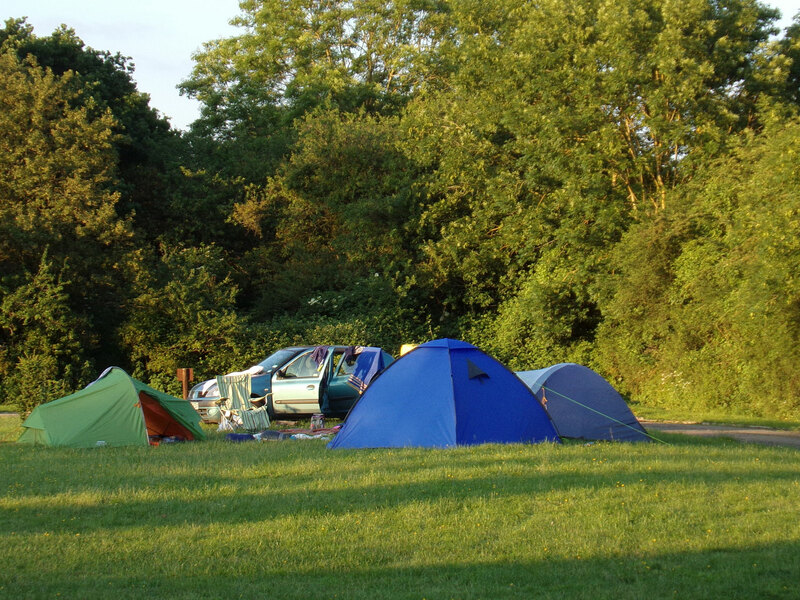 ‘Beware Thunderstorms and Flooding’, ‘Check before Travel’ and ‘Torrential Heavy Rain’ were just some of the warnings we received ahead of our trip to The Pepper Pot Campsite in Dursley this weekend. We therefore drove somewhat cautiously to the site, half expecting to find soggy pitches for my husband’s birthday camping trip with friends (and first-time campers). Our only hope was that it wouldn’t be so bad that they wouldn’t come with us again! Most reviews for this site on Pitchup were excellent, praising the staff and the site, although one or two reviewers warned of motorway noise. I was somewhat reassured by the string of 5 star reviews which sang the praises of this small site, so despite the ‘weather warnings’, we decided to book it and take our chances with the weather. I have to say any fears I had about the weather were completely unfounded. As we drove down a winding country lane towards the site, the glorious sunshine illuminated some beautiful scenery, including a stunning church. There was not a cloud in sight and every grass verge looked completely dry. No sign of flooding whatsoever and no sign of thunderstorms or rain either – just a very sunny, warm day in a very pretty part of rural Gloucestershire. On arriving at the site, we took in the pleasant views, with Stinchcombe Hill in the background. We looked at the very generous pitches and immaculate facilities building with a huge sigh of relief, as we were welcomed by the very lovely Jane and her gorgeous, friendly collie. 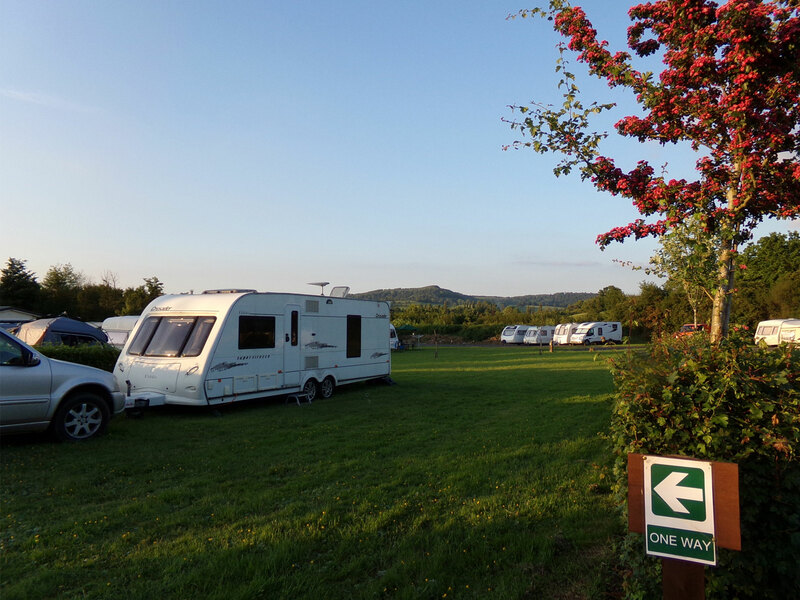 We knew instantly that that was going to be a pleasant stay – made even better by the fact that Jane had allocated two absolutely huge pitches with a hardstanding in the middle for our two large tents. I listened out for the noise that a few reviewers had made so much fuss about – motorway noise wouldn’t bother us, as we live next door to one anyway, but honestly, it was barely audible, so if you read those reviews, please don’t listen to them. The site was lovely and peaceful, very well kept and other campers (a mix of all ages) were happy, respectful and considerate. We took a scoot around the locality, although we planned to stay on site for most of the weekend. The nearby towns of Dursley and Cam have a picture-postcard feel, with quaint, individual shops as well as small but well-stocked supermarkets, and provided us with more than ample supplies. Our friends arrived later and what can I say, the guys pitched the second tent in record time while we girls enjoyed a catch up. Pitches were level, with few stones and pitching was a pleasure. In fact, everything was perfect, the bathrooms were quite luxurious and spotlessly clean, the on-site atmosphere was lovely and our host Jane was happy to share tourist information. There is plenty to do in the area – but hubby had other ideas in mind. 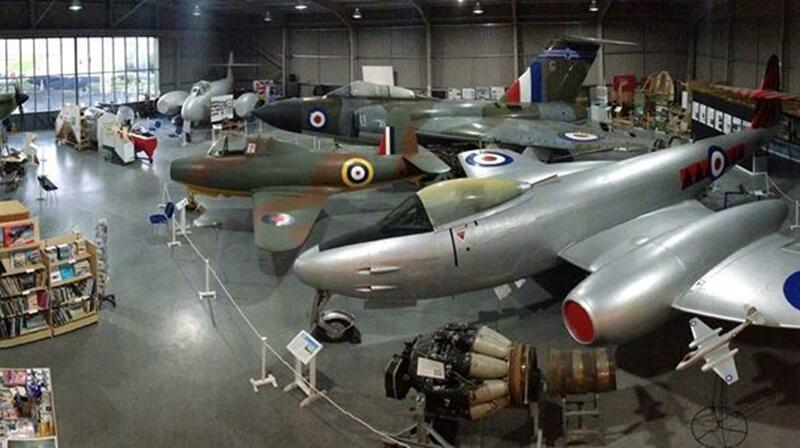 We spent the Saturday on a fantastic trip to the Jet Age Museum in Cheltenham, somewhere hubby has been meaning to go for ages, and we were so inspired we actually signed up to volunteer. 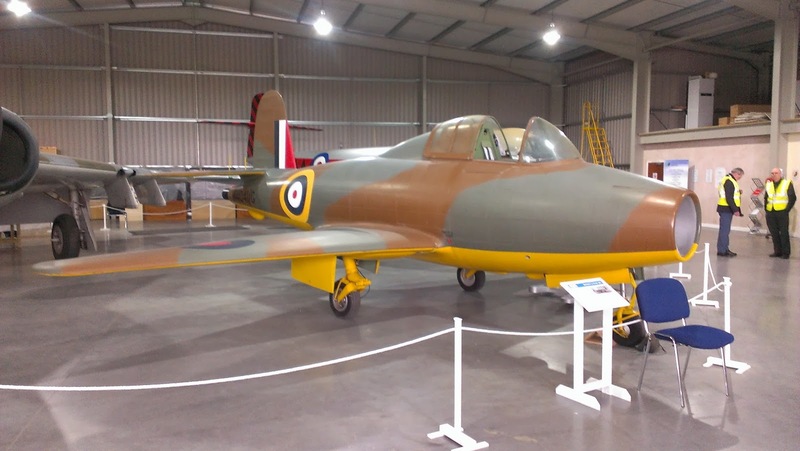 It’s a fantastic celebration of Gloucestershire’s contribution to the air industry, and completely free for the public to enter. The highlight of my husband’s birthday was a free cockpit tour of an Avro Vulcan B2 XM569 – though the highlight of mine was talking to one of the pilots who actually flew it about his memories of scrambling to air in just 4 minutes! We look forward to doing our bit to help preserve this fantastic museum in future – but who’d have guessed we’d have signed up to that on a birthday camping trip! Amazing. We then headed back for a birthday BBQ on site, chilled and relaxed, social media off and enjoying great company. The group of campers in the middle were playing a quiet game of volleyball. It was almost like stepping back in time, when the hustle and bustle stopped for a little while, where nice people enjoyed a simple day in the sunshine, with a stunning country backdrop. We did however, all get good signals on our mobile phones, (EE, Vodafone and 3) so we were contactable by the real world if needed! The campsite was perfect, and gave us the restful short break we needed. 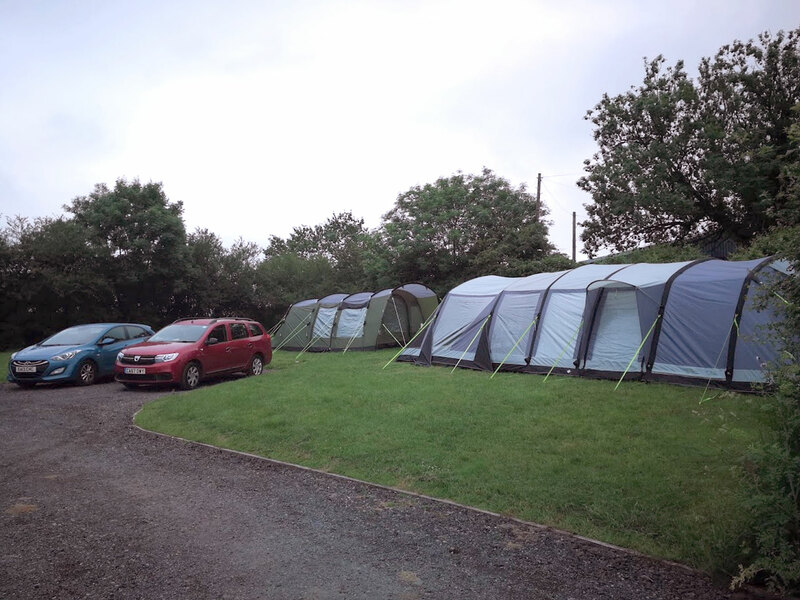 Our first-time friends enjoyed it so much they want to come camping again – despite one of them having severe hay fever, so result all round – oh, and guess what, severe weather warning was totally unfounded – not a single drop of rain all weekend! All in all, a perfect site and an absolutely brilliant birthday weekend. I’d highly recommend this lovely site to anyone and when I leave my review on Trip Advisor, it will, like many others, be five stars!